Whiteline Racing’s Bob and Shaz Middleton formed a relationship with Andrew back in the Bob Jane Nascar Thunderdome days in the 1990’s – Andrew driving one of the nascars in the two car team, the other driven by Bob the Builder then Chris Templar when Bob moved on to concentrate and go on and win multiple super truck titles. Bob also played a management role in Andrew’s Porsche Racing campaign and then the team reformed when Andrew took over driving the 1969, No. 95 Camaro. 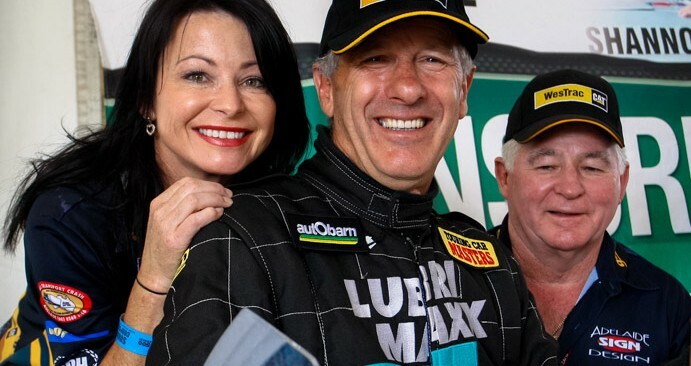 Andrew’s racing career spans over 40 years, having driven in Forumla ford, Formula 2, Formula 3, V8’s, Rally just about everything and had been part of teams co driving with and alongside the greats, Brock, Moffat, Bowe, Richards, Seton just to name a few. Apart from his incredible driving ability, his personable skills make him popular with his crew, race fans and sponsors – always generous with his time. Our team past and present, are and will always remain close knit friends. Lots of wonderful times at racetracks around the country have been spent together, the highs and the lows that are part of motorsport have been shared. Whilst the door has closed on TCM at the present, the Whiteline Racing Team and its association with Andrew Miedecke I am sure will be reignited by their passion for motorsport, loyalty and deep friendship. Thanks for the memories Andrew and every good wish to you and George campaigning the Aston.